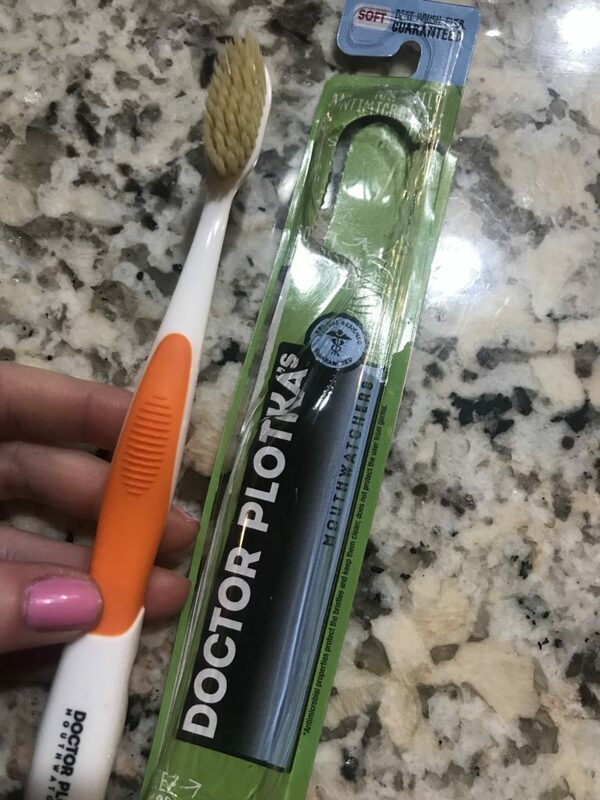 Always on the hunt for a soft toothbrush that leaves a cleanfeeling mouth, I was excited to try Doctor Plotka’s Mouthwatchers Toothbrush. Itwas invented by Dr. Ronald Plotka, a Dentist of over 40+ years. This toothbrushisn’t your ordinary toothbrush, and has a few extra fun features. It has antimicrobial bristles – -there are fine bristles that are infused with silver. Silver is naturally antimicrobial, and prevents the bacteria that grows on your toothbrushinbetween uses. 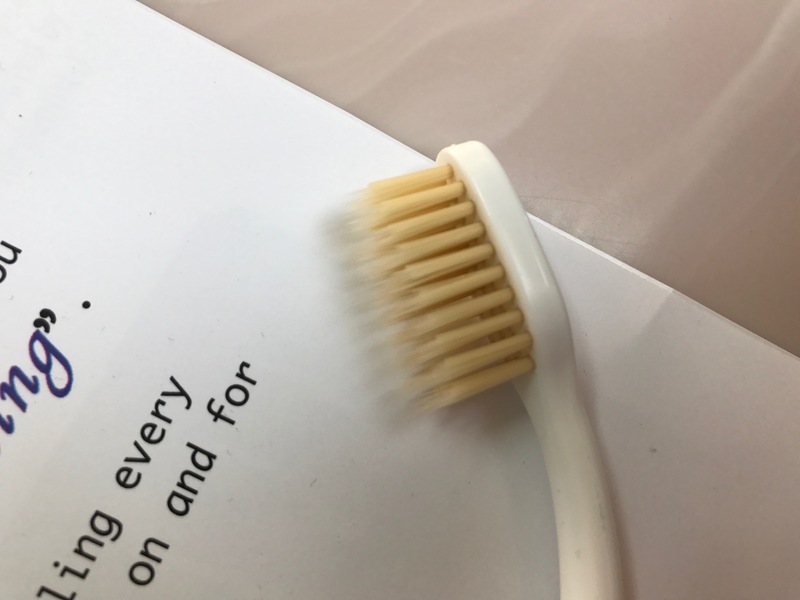 In fact, it eliminates 99.9% of bacteria growth on the brush within 6 hours of use. This prevents re-introducing yucky bacteria into your mouthand gums for the next use! It has flossing bristles – dual layered bristles that according to the fact sheet are asthin as human hair. 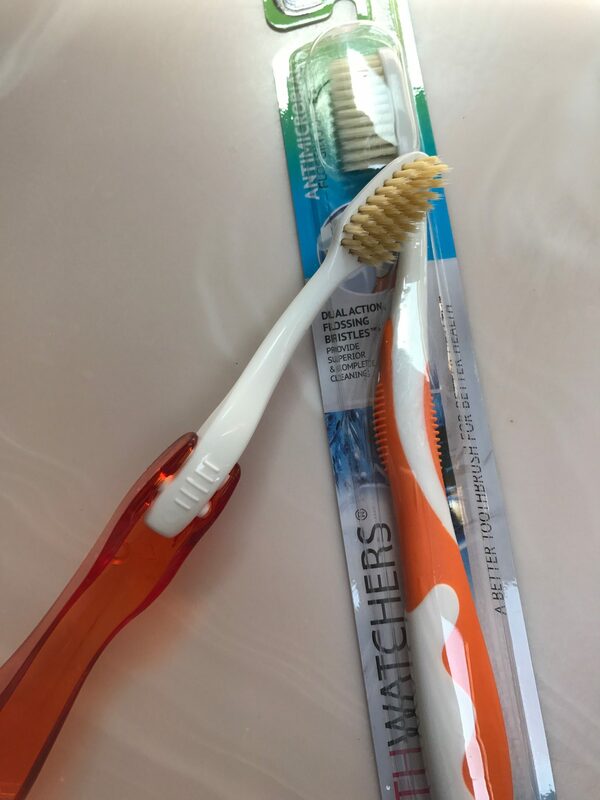 This can help reach the hard to hit places, helping brushaway food and plaque. They are made of Polyester instead of nylon. Sounds pretty cool! But how was it? I have pretty sensitive teeth and gums. I always use soft toothbrushes, and even thenthey can be abrasive. However, I reallyliked this brush! Overall, I was a fan. 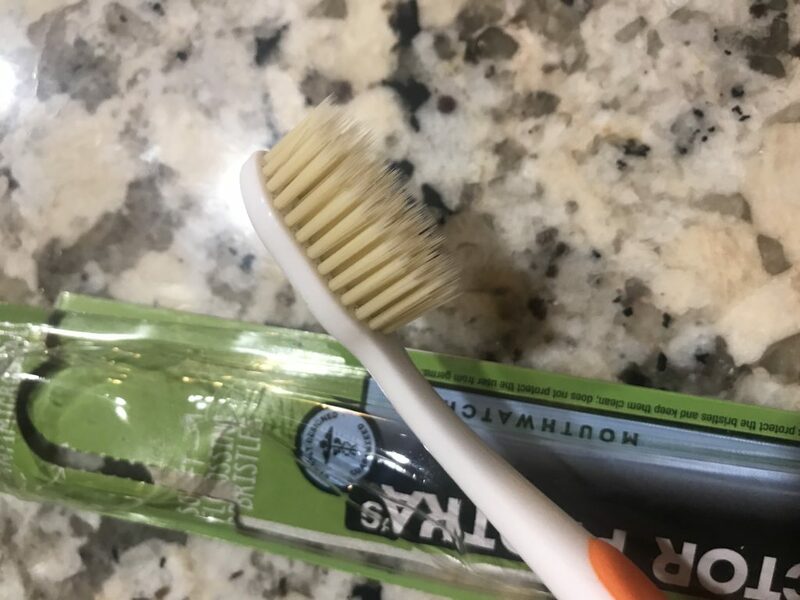 My only complaint is the brush head was very large for my teeth (I am 27 and my dentist tells me to use a kid’s toothbrush for the small head), but I saw that they do have youth toothbrushes, so I would love to get one of those to use instead. 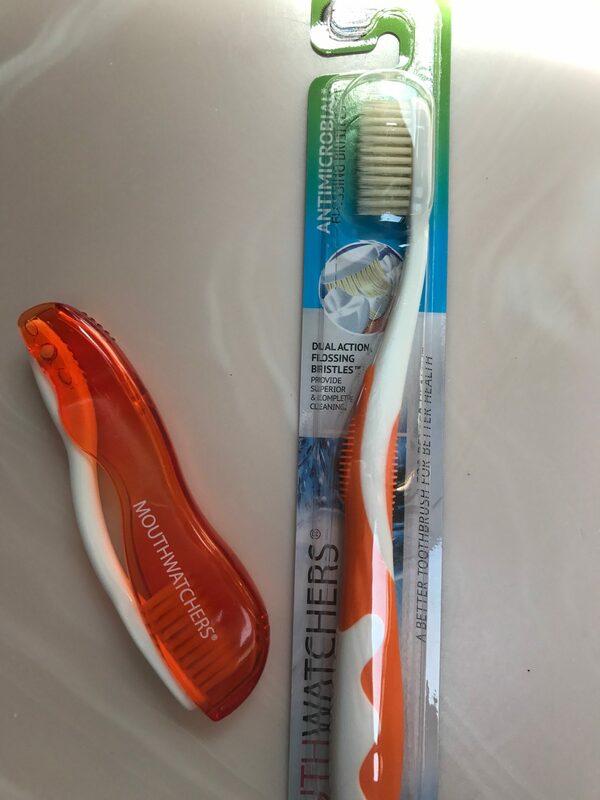 DISCLAIMER: I received this toothbrush to try for free from the company. This is an unbiased review.